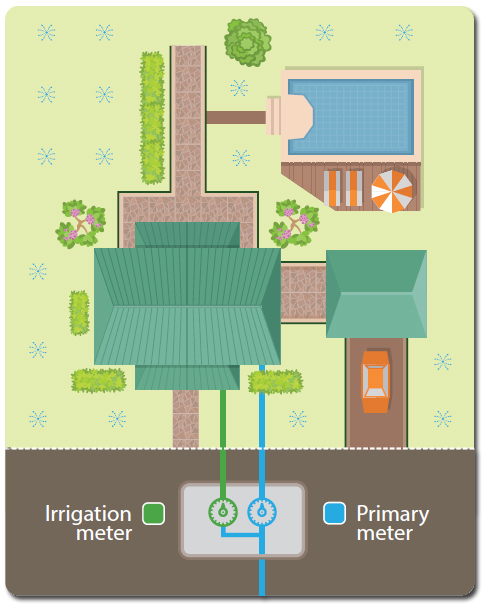 Irrigation meter: Is it right for you? A separate irrigation meter measures the amount of untreated water that does not go into the city sewer system. 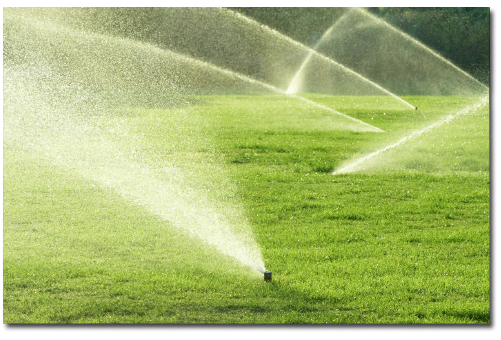 Such meters are ideally installed next to your existing water meter for homes with sprinkler systems and possibly other outdoor water features. If you are experiencing high water bills and a significant portion of water does not drain into the city’s sewer system, the savings over a period of time may be worth the initial investment. What would I have to pay for? In addition to installation, you would bear the costs of permits, plumbing, labor and the meter itself. What type of water meter is required? All your existing MLGW utilities would need to be smart meters. If you do not have smart meters, we will change them out at no additional cost. How can I estimate my cost savings? Look at your account history. Deduct your sewer charges for the winter months from the charges that were billed from the summer months. The difference represents an estimated amount that would have been saved if an irrigation meter were installed at the home. For an example: Say your average winter sewer cost is $100. Now look at your average summer sewer costs, and it’s $400. That $300 difference represents the potential savings if an irrigation meter were installed. Note: To calculate the amount of water you are using, MLGW measures water consumption in hundred cubic feet or CCFs. One CCF = 748 gallons. Multiply the number of CCFs of water in the Usage column on your utility bill by 748. Sewer rates are often listed as 1,000 gallons of treated water. What are the costs associated with installation? Call a licensed plumber or contractor for an estimate of your home’s specific needs. Contact Builder Services or call (901) 729-8630 - option 2.